September’s Deep Plate exercise features an item from our WMF brand that allows you to jump into the fall months with savory, comforting and warm dishes. This sleek, stainless steel, mini serving pan will bring a wow factor to your table delighting your guests. Perfect for desserts, tapas, and side dishes. The “minis” are practical for preparing small portions and the quality is exactly what you’d expect from WMF. 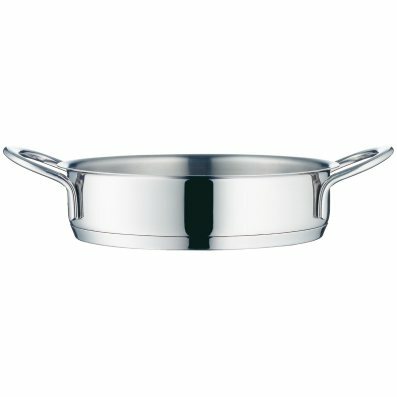 This mini serving pan has two metal side handles and are ideal for regular cooking, grilling in the oven and serving. As they do not have obstructive long handles, they can be stored in kitchen cupboards without taking up space.